In 2009, the recession was beginning to hit hard in the UK; businesses were going under, developments stalled, high streets were declining and unemployment was soaring. We noticed that vacant property and lapsed developments were a missed opportunity in the ‘meanwhile’, and it was almost impossible to access these spaces. 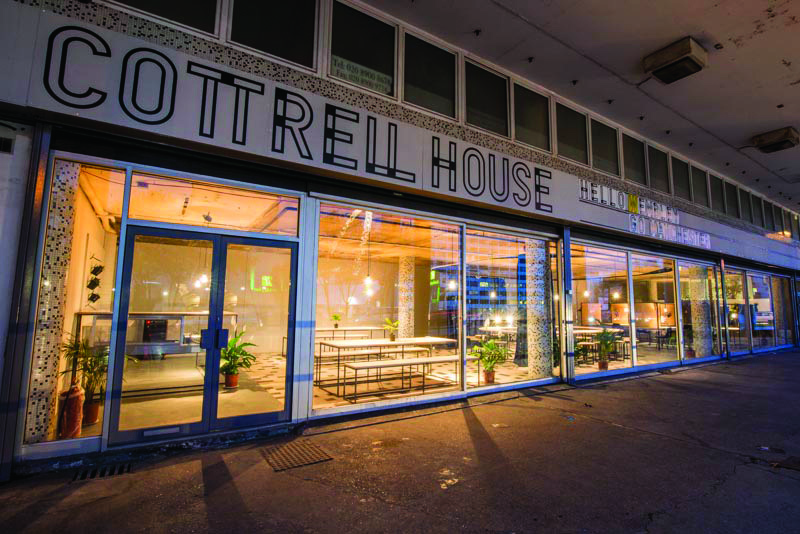 The abundance of empty properties compound the decline of high streets (also called main streets), yet local people who need space to develop new business ideas and innovative uses for high-street spaces are excluded by the archaic property industry. It seemed to us that there was a great opportunity here—if only we could get hold of the space! We needed an incentive, and we found it in the form of a policy that was introduced in 2009. In England, landlords of empty property have to pay 100% of business rates once the property has been vacant for three months. This is often very costly for them, especially when vacancy is high (14.5%, and in deprived areas over 20%) and occupancy is declining. 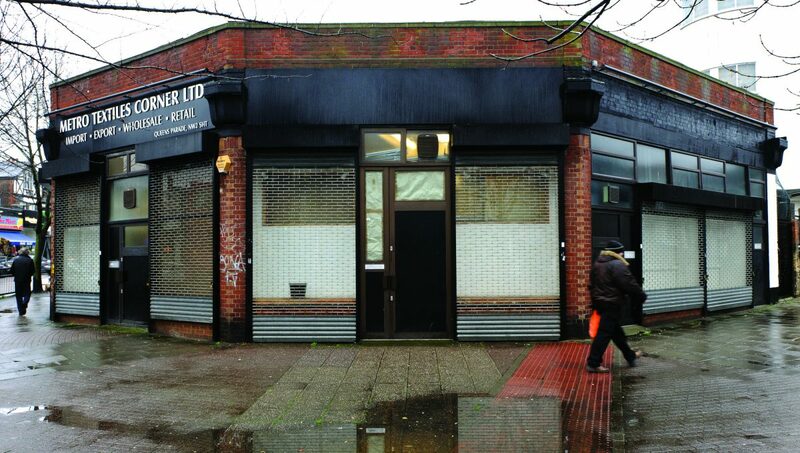 We began to explore the potential for temporarily occupying vacant space with creative enterprises, but encountered many bureaucratic barriers, including planning use classes, accessing landlord’s contact details and extortionate business rates. So we started Meanwhile Space, a social enterprise and community interest company (CIC) in 2009, to support and enable temporary use of vacant property. Many of our 1,100 occupants have failed and learned from that experience; however many more used the stepping stone of a short-term space to establish a successful business. 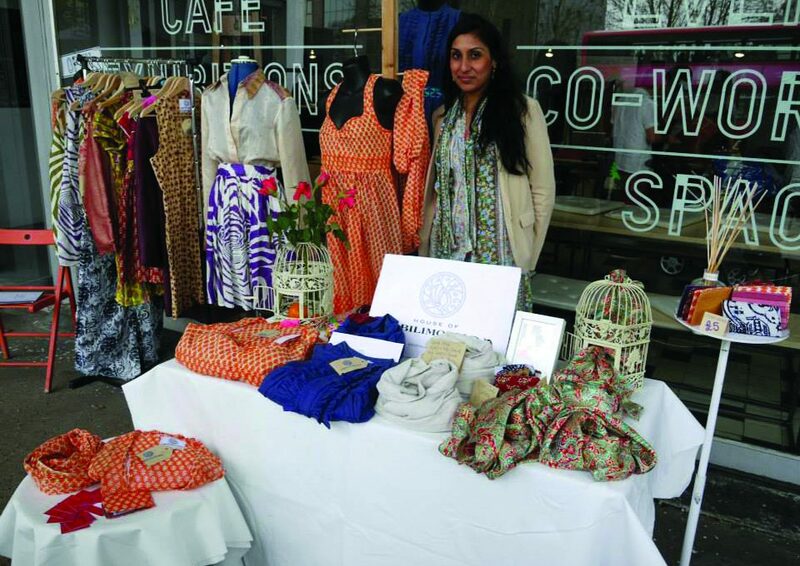 One success story is House of Bilimoria, an ethical fashion brand that was based in our Wembley hub, Cottrell House. Moving into a dedicated high street studio space, with tailored business support, allowed her to expand her business and now employs four people, and has progressed to lease a property on commercial terms. The brand debuted at London Fashion Week in 2008 and since then has been published in the V&A’s book ‘British Asian Style’. Another is Christian Dillon from the East London Furniture project. While volunteering for a project in our Whitechapel space, and recovering from an injury, he started building furniture from discarded pallets. His unique creations soon received interest from the public. During Design Week, located in our Exmouth location, he displayed his designs and worked with people off the street who showed interest. By the end of the week he had enough commissions for cafés, bars, and offices to take a risk and push his business into a meanwhile space of his own. Three years later, employing 3 people, his brand is widely recognised for its cutting edge pieces utilising waste products. In 2009, we proposed the Meanwhile Project to a minister seeking a solution to help high streets through the recession. We sought out people all over the country who were already doing interesting meanwhile activity in empty spaces. We found 24 projects in 17 places to directly support with the grant funding, allowing us to pay for anything apart from rent that may be hindering their project (i.e., business rates, utilities, broken windows). Meanwhile Space delivered the project and developed resources from experience including the Meanwhile Toolkit, Lease and Insurance policies. The term ‘Meanwhile use’ was defined by Meanwhile Space during this project. 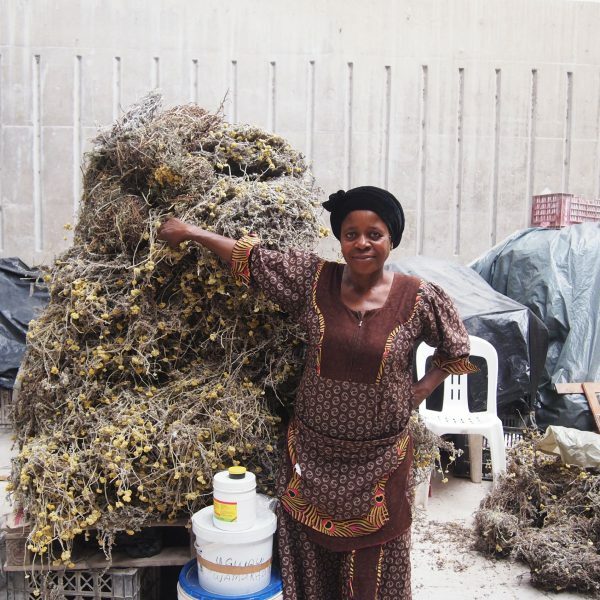 As a concept, Meanwhile encompasses the philosophy that empty space can be used to create opportunities for people. It goes beyond the pop-up period of a few weeks to make full use of a space for the maximum period it is empty. It is about transforming the way people think about empty space, revolutionising the property industry, and carving out a new industry. In March 2010, the Meanwhile Project funding ended. Since then, our team has developed a host of services around enhanced project delivery, consultancy, placemaking, branding and promotion, training, employment and skills, community engagement, research and policy. Through word of mouth alone, a Meanwhile network of projects, landlords, local authorities, advisers and property industry experts has grown to over 11,000 international members. The majority of our income is from delivering projects on behalf of local authorities. 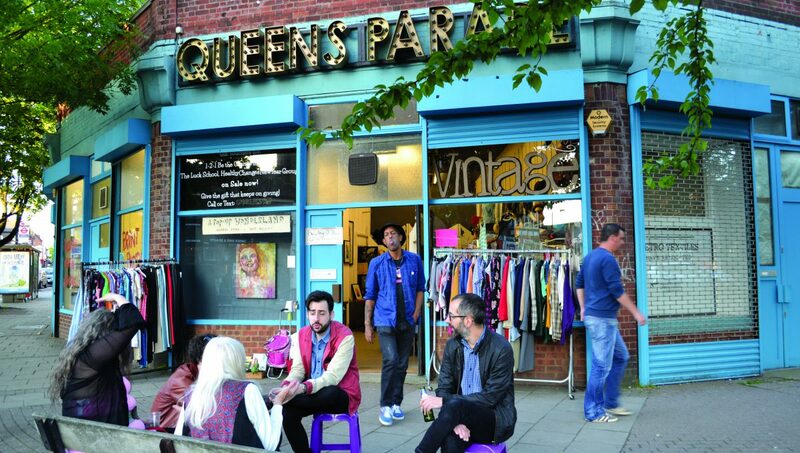 For example, Queens Parade in Willesden Green successfully revived Willesden High Road through a creative and flexible approach to short-term interventions. Investigation identified empty shops suitable for meanwhile use, and following negotiations with landlords, we secured an initial 6-month meanwhile lease on 10 vacant units, which had been empty for 5 years. Throughout the project, Meanwhile Space supported 13 creative enterprises through landlord/agent negotiations, creating leases and pro-formas, and battling bureaucratic processes. Meanwhile Space bears the risk as intermediary leaseholders, and facilitated the renovations to the properties, working with 25 trainees from the local vocational college. For two years, Meanwhile Space continued to provide on-going support though Queens Parade is now independent of any council funding, with tenants paying around 40% commercial rent to cover running costs of the properties, until the landlord gains planning permission for redevelopment. All of our 42 spaces have been redeveloped or leased as a direct result of our occupancy – an excellent incentive for landlords to allow us to use the space. The most powerful incentive is that we cover their empty property rates while they are searching for a new tenant or awaiting planning permission. So far we have saved landlords over £670,000 in empty property rates, all the while providing space for over 1,000 start-ups, individuals and creatives. In our opinion, ground floors should be diverse and should offer constantly changing, vibrant, engaging, and welcoming environments. High streets need to adapt or wither, as shopping is no longer the sole desirable activity of a town centre. People want interesting things to see and do that don’t cost a fortune. And increasingly they want to do their shopping online, or in suburban retail hubs. We can’t change that. 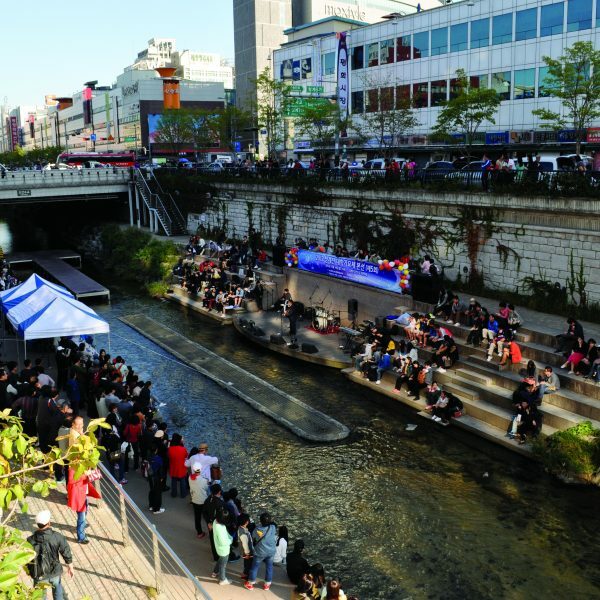 But we feel human scale, locally led activity is a good way to test new uses on the high street and through Meanwhile, we can help our high streets to adapt to an uncertain future and to become distinctive, vibrant places. Our vision for an ideal ground floor is one where vacant space does not exist; that vacant periods are foreseen and ‘curated’ to give people a chance to test an idea, in a highly visible, low risk and affordable way, even for a few weeks or months. This requires a transparency of ownership, a flexible approach to bureaucracies, and a central point all the knowledge on an area so it is easily accessible. Communities socially benefit through activity at ground level in otherwise vacant property, which affords accessible community services and reduces blight and anti-social behaviour. Property owners benefit economically, through the security of active occupation, reduced costs to keep property empty and increased prospects for future uses. Because of the successes and increased demand, our team set up new sister company in January 2014, Unlimited Meanwhile Ltd, to focus on scaling the beneﬁts of Meanwhile use throughout the UK and internationally. We’re also in the beginning stages of creating an App, funded by Innovate UK, which will connect owners of underused space with potential tenants.